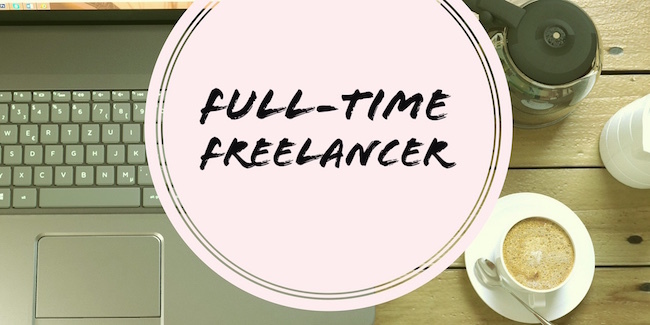 In April last year, I made my grand escape from the corporate world and have since settled into a great routine and lifestyle as a full-time freelancer. While I am learning new tips and strategies every day, I have learned a lot of lessons freelancing over the last nine months. Here are nine of my favorite tips I learned, and some surprising comparisons to my old life in a grey cubicle that any freelancer or office dweller may find useful. At my old day job, I earned the same salary regardless of how productive I was. Whether I spent my time in the office in a massive burst of productivity or clearing out my email on a slow holiday week, I earned the same paycheck every two weeks. 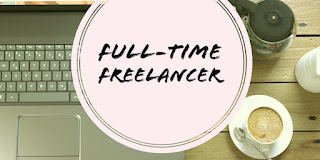 As a freelancer, I can earn a heck of a lot more while working fewer hours. But that means there are some days I earn more and some days I earn less. I used to work with a goal to make as much as I did at my old day job five days a week, but have increased that to $500 per day, or $10,000 per month, and have been able to reach it most days while working fewer hours than I had to at my old day job. I used to have a boss, and a boss’s boss, and so on. I no longer have to deal with the corporate hierarchy mocked in one of my favorite business novels, Company, but I do have a Peter Gibbon’s like experience on occasion. As a freelancer, I don’t have a clear chain of command. I’m the boss of my day-to-day schedule, where I work, and when I work. But I still have to deliver a high quality product to all of my regular clients. Some clients I have one contact, others I work with multiple people. Then there are the one-off jobs. Needless to say, I have more bosses than Peter did. I used to wonder what type of people could be out at restaurants, malls, and running other errands during the weekday business hours. Now that I am one of those people, I have realized that most people still have a regular job. Even if you can go catch a matinee movie on a Tuesday afternoon, most of your friends won’t be able to join you. Because most other people are working regular hours, I end up doing the same. I still typically work Monday through Friday roughly during business hours. That is when my clients are working and I need to be available to respond to emails, and it makes sense that I would work then as well. Plus it gives my family a better ability to predict when I’ll be free. But, even during regular work hours, I never say no to my wife if she wants to walk to the ice cream shop up the street! I find that I do my best work in big spurts when I “hit my flow” some mornings and afternoons. Because I know I’m most productive right after getting out of bed, I can skip the morning shower and dive into work. Take a shower and breakfast break an hour or so into my day, and so on. I no longer have to work just because those are the hours everyone else is in the office. If I hit a mental block and don’t feel like working, I can take a break. If I feel like I’m getting into the zone at 3:00pm on a Sunday, I can open up the laptop and get things done. But there is no forced work time when I wish I was doing something else because I can focus and get a lot done in short periods of time when I’m in the zone. When I left my job, a couple of weeks later I was on a plane to London and Paris, where I worked and played simultaneously. While I dreamed that my lifestyle would be filled with constant travel, glamor (or glamour if you’re on the other side of the pond), and adventure. It turns out that I rarely work in places as exciting as a travel blogger’s Instagram feed. I tried working out of a coworking space for a while, but found that I worked at home more than anywhere else and ended up cancelling my membership to save a few bucks. If I wasn’t going anyway, no need to pay for it! My real dream is an office shed in the backyard, but that doesn’t mean I don’t work from a coffee shop or the library every once in awhile.